“I think about the way brown rice in a double boiler cooks,” Theodore said. At face value, a strange concept — but it makes sense when considering Cohen’s thought process. “He loved the idea of having processes and putting processes together that did everything just right,” Bret said. Cohen, who was a chemistry professor at Pitt for 60 years, died Dec. 13, at 88 years old. During his time at Pitt, he authored more than 200 research papers, and graduates of his lab can be found teaching at colleges and universities around the world. He studied chemistry at Tufts University from 1947-1951, and received a Ph.D. in organic chemistry from the University of Southern California in 1955. 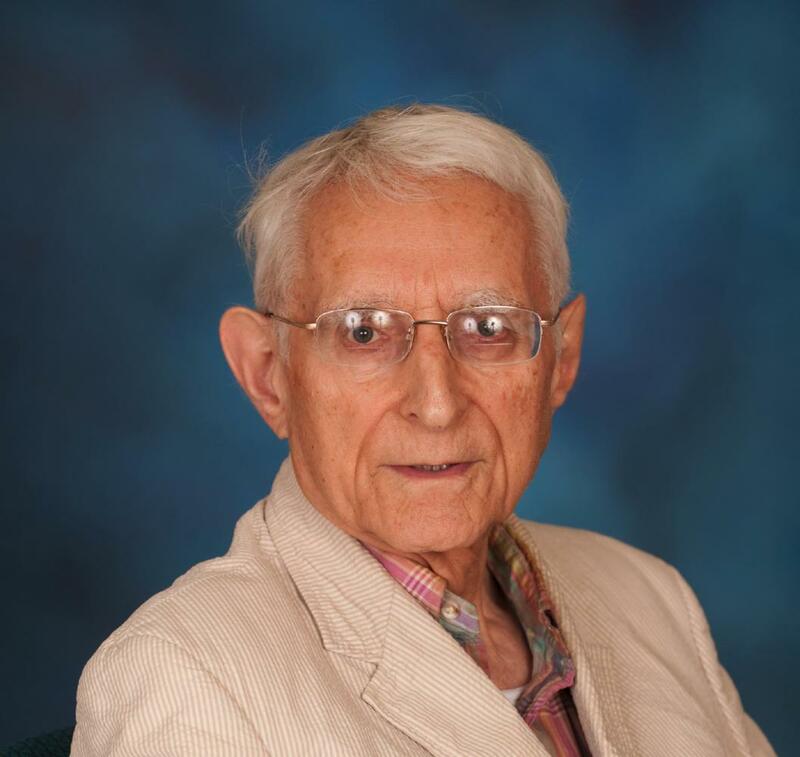 Cohen began working at Pitt in 1956 and retired in 1999, but continued teaching with the new title of professor emeritus, assisting with graduate student research. Cohen spent a majority of his career working with organometallic reactions, exploring how reactions occur in the presence of metal. Sunil Saxena, a Pitt professor and chair of the chemistry department, said Cohen was one of the first people at the University to begin getting federal funding for his research. Pitt now collects about $760 million in federal grants each year. He recalled how the University got nuclear magnetic resonance equipment for the first time — equipment that radically changed the chemistry department. NMR is a research technique that determines the makeup of elements and molecules in a particular material. The equipment was free for chemistry faculty to use, and with NMR equipment, work that previously could take up to a month to complete only took a day. Even so, Cohen didn’t boast about his role in transforming the department. This kind of enthusiasm was present in many of Cohen’s relationships with students. He mentored more than 40 PhD students, 25 masters students and numerous other postdoctoral and undergraduate students. Nicole Kennedy was a graduate student of Cohen’s and said he took a chance on her at the lowest point in her life. “He was so healthy that his doctor prescribed potato chips in order to introduce sodium into his diet,” Kennedy said. Dennis Curran, a professor and researcher in the chemistry department, said Cohen incorporated health-conscious choices in all aspects of his life. His daily commute to his office in Chevron involved climbing 12 flights of stairs while reading the New York Times. Peter Wipf spoke to Cohen’s character and personality, and said everyone who worked with the fellow chemistry professor and researcher will remember him in a positive way. The Pittsburgh section of the American Chemical Society took notice of this and awarded Cohen the Pittsburgh Award in 2009. His nomination letter to the Pittsburgh Award Committee spoke to his continuous contribution to the growth of the scientific community in the City of Pittsburgh. According to the letter, the start of Pitt’s Department of Chemistry as it is known today can be attributed to Cohen’s arrival in 1956 — including a well-known independent evaluation committee’s description of Pitt as a nationally-ranked program. Cohen is remembered by his students and coworkers as a brilliant scientist with a compassionate personality. Saxena said Cohen lived a full life, and we should continue to admire his contributions and work ethic.